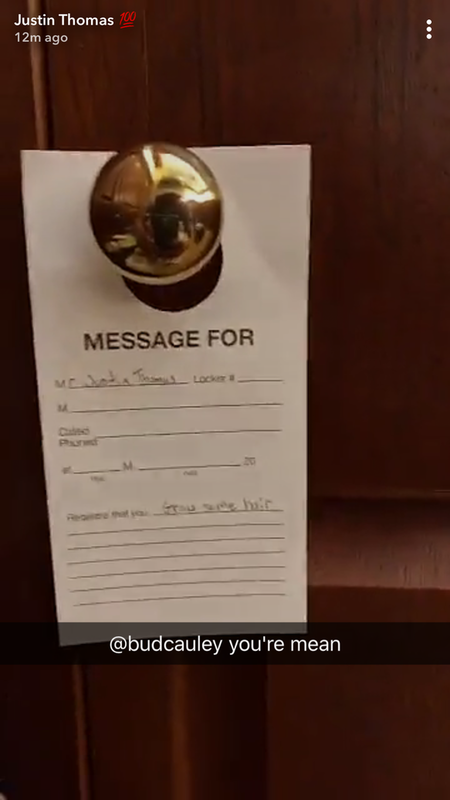 Justin Thomas has been joking about his hair loss for a while now. @JustinThomas34 need to borrow some? On Thursday at the Northern Trust Open, Thomas found a hilariously cruel note that reminded him of his lack of hair. He claims it was the doing of Bud Cauley. Surely, Thomas will find some way to get revenge. You can follow him on Snapchat at jthomas34 to see if it happens. E-Sports Found Growing Niche. Now They Start to Find Homes.